← We’re six weeks old! Two years ago, I felt my first contraction. I was worried that I wouldn’t be able to tell the difference between a false contraction and a real one until I felt it, and then I knew. I wasn’t scared, just more nervous since I didn’t know what to expect, but, mostly, excited to meet my baby boy and finally get to hold him. After a fast and fierce labour and delivery, I did exactly that when my doctor thrust a wriggly little baby into my arms and it hit me, I was a mom. Braeden has shown me that sometimes the best things in life aren’t planned and that it is possible to re-see the world in a child’s eyes. This little man made us a family and has brought us both a love we didn’t understand before. Braeden makes me laugh every day and continues to amaze me with his intelligence, kindness, and curiosity. Watching him turn two has meant seeing him fall in love with cars, trucks, books, dinosaurs, and Bubble Guppies. His observations are both hilarious and astute and make me wonder how he could be so smart (obviously gets it from me). While I don’t want him to grow up too quickly, I am excited to see who he will become and watch as he embarks on bigger adventures. I can’t wait to see him teach his sisters everything he knows. Two years have passed in the blink of an eye, but my time with Buds is special, carved out and held in a separate place in my heart. My favourite part of him turning two was lying in his bed tonight, singing him lullabies, just like I used to when he was still teeny tiny. 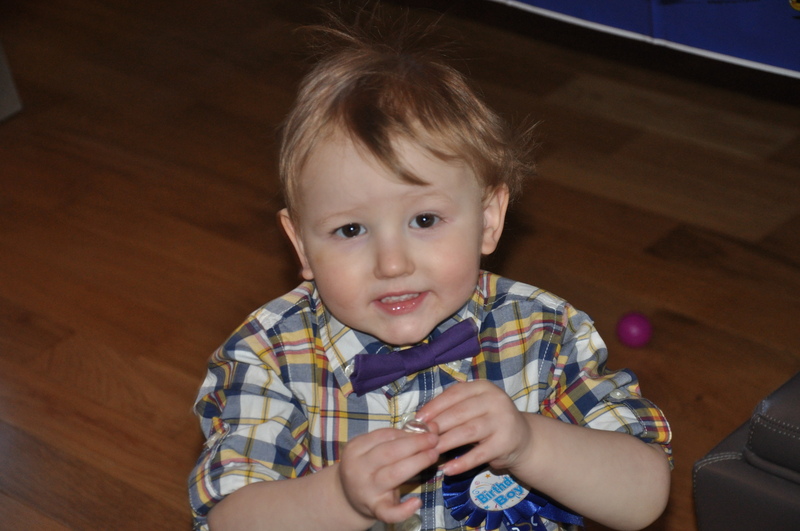 Happy 2nd birthday to our special little boy who has taught me what it means to be a Mama. This entry was posted in Baby love, Mamahood, The beginning and tagged birthdays, motherhood, toddler. Bookmark the permalink.